Posted on Thursday, September 22nd, 2016. - Filed under 50-Inch. If you consider M50-D1 and E50u-D2 from Vizio as your next TV, I’m sure that you are looking for more affordable smaller 4K UHD TV. 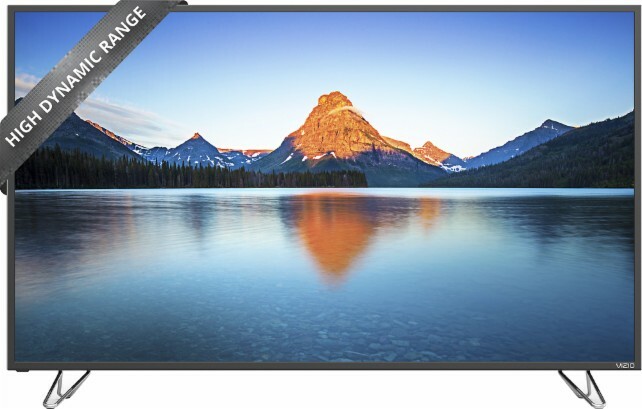 Vizio M50-D1 is the smallest screen size option from Vizio’s 2016 M-model, while you can still find smaller screen size than 50-Inch E50u-D2 from 2016 4K E-model. In general We can call 50-Inch is the smallest screen size in which We can easily feel the differences between 4K and 1080p Full HD resolution. What are the similarities between Vizio M50-D1 and E50u-D2? Let’s talk about that together so that We can choose which of them as our next 50-Inch 4K UHD TV. Vizio M50-D1 and E50u-D2 comes as two options for your 50-Inch 4K UHD TV. There are a number of similarities between those two TV models. Their key similarities can be summarized using this table. We can see the similarities of Vizio M50-D1 and E50u-D2 from the table above. Let’s talk more about those similarities together. Vizio M50-D1 and E50u-D2, as we know, comes with 4K UHD resolution. But We can notice that most of the contents available are still in HD format. That’s way We need upscaling technology. Both of Vizio M50-D1 and E50u-D2 comes with spatial scaling engine as their upscaling technology. With spatial scaling engine, you can enjoy near 4K picture quality from your non-4K content sources. The picture technology of Vizio M50-D1 and E50u-D2 are essentially similar. They come with Full-Array LED backlight that completed with Active LED Zones. Full-Array LED deliver superior brightness across the TV screen, while Active LED Zones deliver better contrast across the LED Zones. 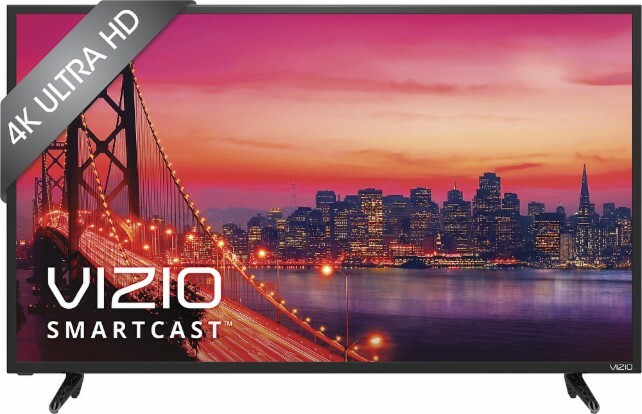 Vizio M50-D1 and E50u-D2 use the new Vizio SmartCast as its Smart TV feature. It’s the new concept to deliver premium entertainment to your home screen by controlling the TV screen with the smartphone or tablet. Vizio M50-D1 and E50u-D2 are also powered by V8 octa-core processor that can run heavier apps and multi-tasking process without any processing lag. You can find that the speaker system of Vizio M50-D1 and E50u-D2 are similar. They come with 2Ch 20W speaker system. We can say that 2Ch 20W speaker system is basic speaker system. It can deliver good sound but not powerful enough for a number of audiences. But you don’t have to worry about that since you can attach additional soundbar or surround sound system easily to get more immersive sound quality. The wireless that attached on Vizio M50-D1 and E50u-D2 are the same 802.11ac wireless. 802.11ac wireless can deliver faster internet connection to your TV set than the previous 802.11n wireless. They also come with the same number of HDMI and USB. You can find 4 HDMI and 2 USB inputs on both of M50-D1 and E50u-D2. 4 HDMI and 2 USB is enough for most customers’ needs to connect few devices at the same time. As the different models, you can find few differences between Vizio M50-D1 and E50u-D2. What are their differences? You can find their differences on the table below. We can find few differences between Vizio M50-D1 and E50u-D2 from the table above. Let’s discuss more about those differences. Both of Vizio M50-D1 and E50u-D2 use Full-Array LED Backlight that combined with Active LED Zones. But the number of Active LED Zones that installed on those two TVs is different. Vizio M50-D1 comes with 32 Active LED Zones, while Vizio E50u-D2 is only installed with 12 Active LED Zones. With more Active LED Zones, you can get more vibrant contrast as there are more autonomous zones on your LED. The effective refresh rate of M50-D1 and E50u-D2 are similar with 120Hz effective refresh rate. But Vizio also use their Clear Action term to define the refresh rate quality of their LED TV. The Clear Action technology of Vizio M50-D1 is different with E50u-D2. Vizio M50-D1 comes with Clear Action 360, while Vizio E50u-D2 comes with Clear Action 240. Although the difference won’t be that significant, you can enjoy smoother fast motion images on Vizio M50-D1 than what you can get with Vizio E50u-D2. HDR technology become more popular and widely used by 4K UHD TV in 2016. Vizio M50-D1 is completed with Vizio HDR that support Dolby Vision as the new HDR technology from Vizio. While Vizio E50u-D2 doesn’t come with Vizio HDR technology. With Vizio HDR that support Dolby Vision, you can enjoy enhanced details and contrast from your High Dynamic Range (HDR) contents. The remote control that’s included with Vizio M50-D1 set is Android Tablet remote, while Vizio E50u-D2 comes with only standard remote. With included Android Tablet remote, you can control the TV screen and premium contents displayed on the TV screen easier. While You need to install Vizio SmartCast Apps on your Smartphone or tablets to control the TV screen and display your favorite contents on Vizio E50u-D2. As the higher model, Vizio M50-D1 is introduced with higher price than Vizio E50u-D2. Vizio M50-D1 is generally offered at around $100 higher than Vizio E50u-D2. We should also take a note that the price difference itself is not fixed since the retailers often changed the price month to month. Which Vizio’s 50-Inch 4K UHD TV to Choose? There are similarities as well as few difference between Vizio’s 50-Inch M50-D1 and E50u-D2. They generally comes with similar Full-Array LED backlight with Spatial Scaling Engine and Active LED Zones. They also comes with similar Vizio SmartCast as the new concept in delivering smart entertainment. But Vizio M50-D1 is able to deliver better black levels as well as relatively smoother fast motion scenes with more Active LED Zones and higher Clear Action. You can also enjoy enhanced HDR contents with Vizio HDR that support Dolby Vision installed on Vizio M50-D1. Additionally, you can also control the TV easier without any needs additional Smartphone and tablets with tablet remote that comes with Vizio M50-D1. So if you are looking for better picture quality with included tablet remote while you don’t mind to pay a little higher for that than you should go ahead with Vizio M50-D1. In the other hand, Vizio E50u-D2 becomes a good choice for any customers who have more limited budget for their 50-Inch 4K UHD TV. It indeed still can deliver good 4K picture and bring premium entertainment to your home. Vizio D50u-D1 comes as the new choice, besides Vizio M50-C1, when you are looking for 50-Inch Smart 4K UHD TV and prefer Vizio as your brand. There are similarities that you can find between Vizio D50u-D1 and..